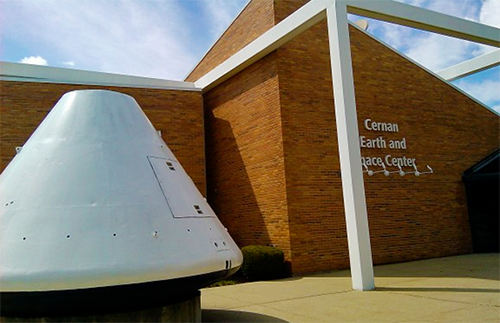 The Cernan Earth and Space Center of Triton College features a variety of earth and sky shows, children's shows, laser light shows, earth and space exhibits, a membership program and the Star Store gift shop. Hours: Mon-Thu 9am - 5pm; Fri 9am - 1pm and 6:30pm - 9pm; Sat 6pm -10pm; Sun 1pm - 5pm. Other times by prior arrangement. Theater Admission: $8/adult ($10 for laser show); $4/youth ($5 for laser show); $4/senior (55+) ($5 for laser show). Cernan Earth & Space Center is a Non-Smoking Establishment. Handicap Accessible. © Copyright 2000-2019 Visit Oak Park. All Rights Reserved.